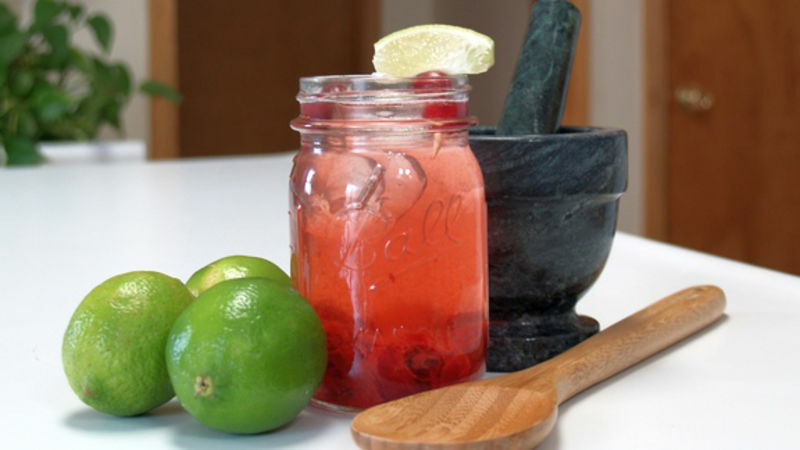 Cranberries are too tart to just muddle into your drink - you'll need to cook them down with some sugar to make sure they are properly sweetened for your drink. Add enough cranberries to a saucepan to cover the bottom, then add half a cup of water and a quarter cup of sugar (if you like sweet drinks, feel free to add more). 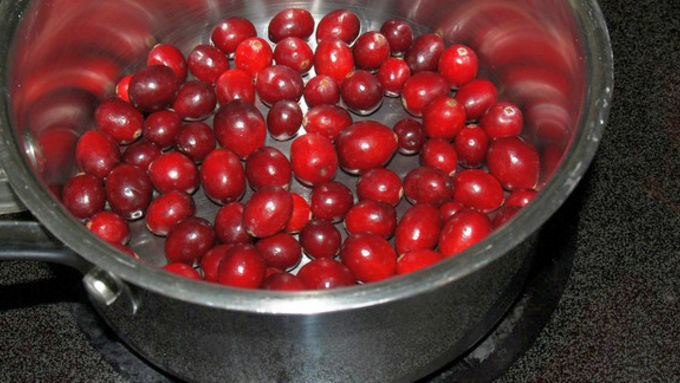 Cook and stir the mixture over moderate heat for 5 minute or until all the cranberries have burst. This cranberry mixture will be enough for 5-6 drinks. 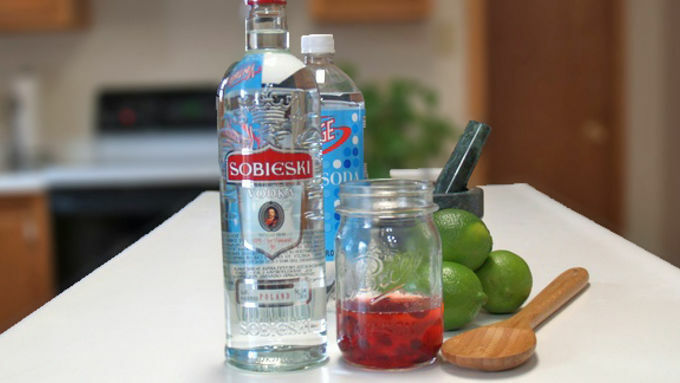 Once mixture has cooled, add 2-3 spoonfuls of cranberries to your glass. Using a muddler or wooden spoon, press down on the cranberries to release leftover juice and break down any large bits of fruit. 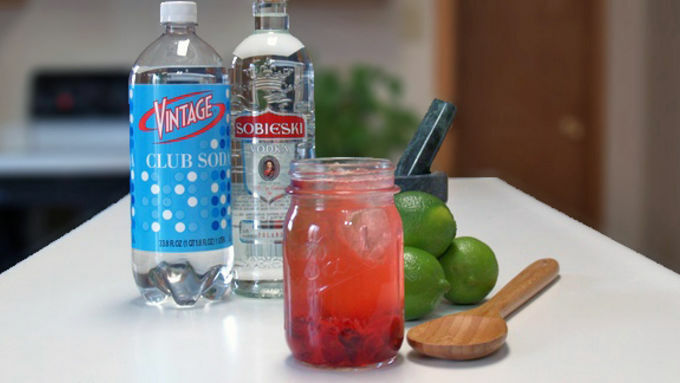 Add two ounces of vodka to your cranberry mixture. 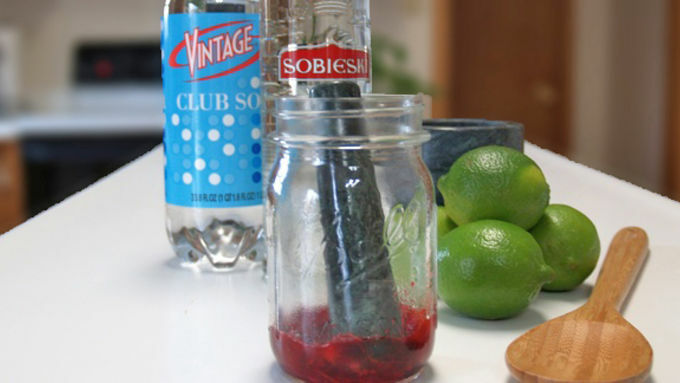 Fill glass three quarters of the way with seltzer and add a few ice cubes. Stir. 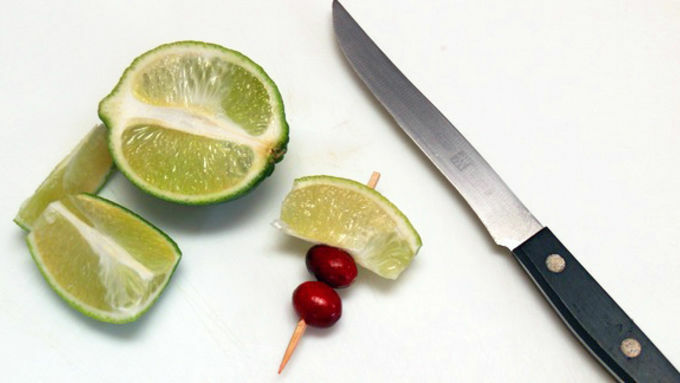 Garnish with a fresh lime wedge and two fresh cranberries on a toothpick. 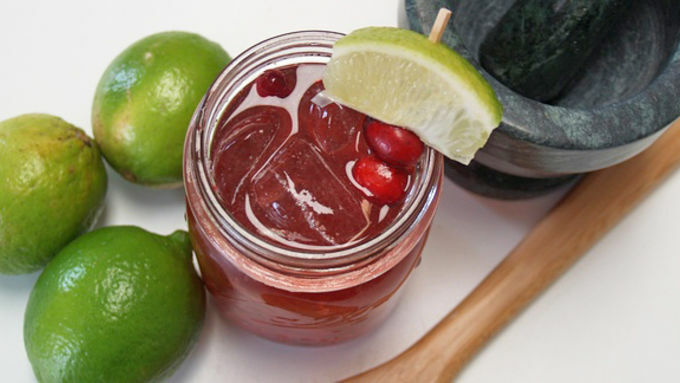 Fresh cranberries and vodka are the perfect winter drink! 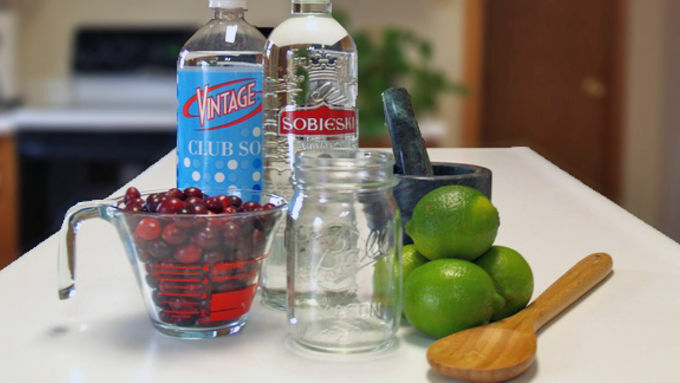 When you’re through making fresh cranberry sauce for the fall and winter holidays, don’t throw out the leftover ingredients – use them to make a bog-to-table vodka cranberry. Once you have the cranberries prepared, mixing this seasonal before-dinner drink is as easy as, well, adding vodka!